Fast forward to the mid 80’s: I re-connected with Dobie, who was now living in Nashville, TN, on a visit there. We picked up our friendship & stayed in touch through the ensuing years. My wife Yuka & I began flying to Nashville together in 1998, where I would co-write, record demos, & visit new & old friends, including the always warm & gracious Mr. Gray! His success had continued as a songwriter, jingle writer, and more. He’d sometimes share the new recordings he was working on, & we tried some co-writing. He gave me a copy of his Christmas CD package. And back in L.A. in 2003 we watched him on TV singing “Drift Away” with Uncle Kracker, and were proud & excited (read: slightly envious) about his career longevity. In 2010, after years of flying back & forth from LA, Yuka & I bought a home in Brentwood, TN. From 1998 until the present, Dobie has been a loving touchstone in our lives. He adored Yuka, & in Southern fashion christened her “Yuka Mae”. With his friends Bud Reneau & Robin Blakeney, Dobie attended my housewarming & birthday party that October. He was a little frail, I think he mentioned an issue with gout. A year earlier he had also visited my old friend Denny Martin’s home for Denny’s birthday “jam”, & surrendered to requests to sing Drift Away. Playing keyboard next to him at that moment took me back across the decades, & was an emotional highpoint of the year for me. These last few months of 2011 were sprinkled with phone conversations, Dobie mentioning more health problems, then a long hospital visit, & him finally sharing about his liver cancer. He never let on the extent of the illness, & I thought he was improving, or at least holding his own. But there were a lot of mutual “I love you’s” in those last few calls. 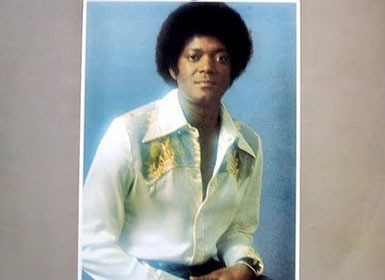 Friendships were precious to Dobie Gray, & his was precious to me. There’s a big hole in my life now. Maybe in a couple of weeks, if I’m up to it, I’ll put on his lovely Christmas CD. And just kinda drift away. Re my above post about Dobie, wanted to make the timeline right: I now believe it was 1963 that we met. And therefore our band could not have been performing “In Crowd” with him, as it wasn’t released until 1965. But I clearly recall playing “Look At Me”. Nice remembrances of a wonderful singer, Artie. Thanks ! Dobie did a wonderful, funky version of Joe South’s “Rose Garden” that deserved greater attention than it received. He was a lot more versatile than many people realize.